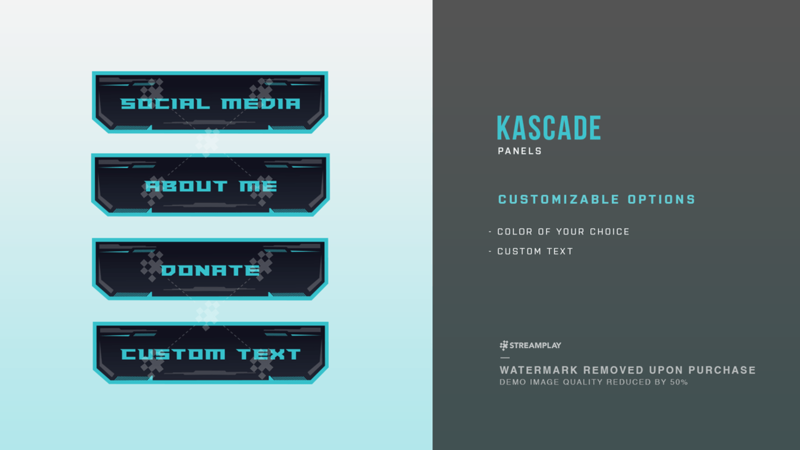 A Twitch Panel with a cool name, and an even cooler design – Kascade is the ultimate panel designed to make your Twitch profile pop. To get a better understanding of how cool these panels truly are, just picture yourself playing the deadliest solo on an 8-string guitar while riding on the back of a dragon whose flying you through outer space to planet after planet in order to find another inhabitable place so you can save the human race from extinction. How are you able to survive in outer space, and where did that dragon come from? Don’t ask questions. Just get these panels and experience it for yourself. 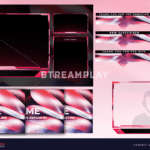 *Comes with 9 panels as .png files and the PSD file for editing. 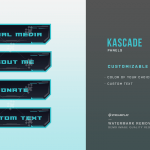 The 9 panels are, About Me, Schedule, Rules, Social Media, Donate, Subscribe, PC Specs, Twitter, and a blank panel. 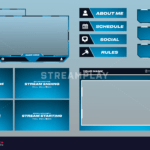 Includes 9 panel graphics (.png files) + the PSD file for editing. i Love my panels and have a overlay to match, the person that helped me made sure i got what i needed even if he missed on the email where i asked for a Rules panel i wrote him back and he did it right away like i have said plenty of times they are only out shined by there customer service.